Planning on parking yourself somewhere along Broad Street to watch the hoards of runners pounding the pavement toward the Navy Yard Sunday morning? Here, everything you need to know before you head out the door, from where to park to where you’ll find fellow spectators to cheer with to where to get brunch afterward. Have fun — and don’t forget to come bearing a good sign! The Broad Street Run has been held on the first Sunday of May since 1980, making this the 35th year. It is the largest 10-mile race in the United States with over 40,000 runners competing this year. 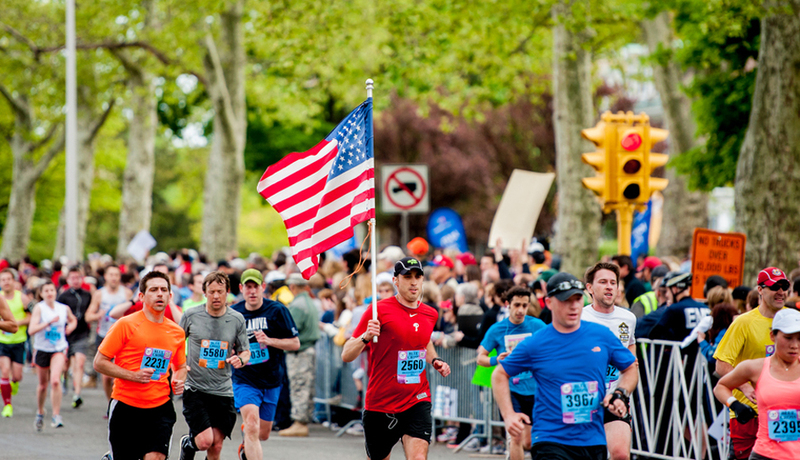 The race starts at Central High School Athletic Field at Broad Street and Somerville Avenue at 8:00 a.m., and finishes inside the Philadelphia Navy Yard at the end of Broad Street in South Philadelphia. The run is known for its flat, even slightly downhill course, making it a favorite for athletes trying to set new personal records. Patrick Cheruyiot holds the men’s course record at 45:14 in 2007, and Catherine Ndereba holds the women’s course record at 53:07 in 1999. This year, the awards ceremony will begin at 10 a.m.
As long as you’re on Broad Street, you can stand anywhere and see runners fly (that’s the beauty of a race along a single street). But these are the spots on the 10-mile route where you’re likely to find a good bunch of fellow spectators.